To advance education particularly amongst physicians and scientists about mycology, fungal diseases, fungal toxicology and microbial disease in general. To promote and publish research in all aspects of mycology, fungal diseases, fungal toxicology and microbial disease (of all living things). Generally to support basic research into fungi and fungal disease, train scientists into mycology and related disciplines. There are over a billion people affected by fungal infections every year with 12 million life-threatening infections and 1.5 million deaths each year. The Fungal Infection Trust is standing by the side of many people who have serious fungal infections, helping their doctors, encouraging research and supporting them and their carers with advice, information and removal of social isolation. We began work in the UK in 1991 but we are now reaching out to isolated people throughout the world in an attempt to improve their quality of life wherever they may live. A major cause of serious infection and death is the lack of expertise required to accurately and quickly diagnose many severe fungal infections. Treatment costs are falling, we can improve this situation but awareness is often poor. The Fungal Infection Trust aims to provide practical assistance to medical professionals faced with the tasks of diagnosing these infections and resources for research to improve diagnostics. FIT have long helped those who suffer from aspergillosis, a rare infection in those of us with a healthy immune system but increasingly being found in those with impaired immunity (e.g. after a transplant operation) or damaged lungs (e.g. 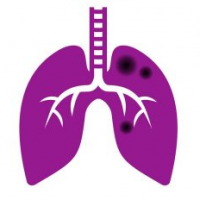 those with cystic fibrosis or who have had tuberculosis or severe asthma.